Charles Homer Martin, son of a London victualler, was raised and educated in Southwark, London. He was working for a rope maker when arrested for the highway robbery of a well-known swindler in March 1818. Arriving in newly-named Australia as a ‘lifer’ on New Year’s Eve, 1818, his city-slicker lifestyle was over-turned when he was selected as part of William Cox’s workforce at Windsor. There the ‘building materials scam’ surrounding the construction of Francis Greenway’s iconic St Mathew’s Church sent him briefly to Newcastle. He returned to the Hawkesbury and became a self-employed sawyer in the forests of the lower Blue Mountains round Kurrajong, living with his wife Ann Forrester on the Wilberforce Common. Twelve children kept them poor, but they proved to be very enlightened parents, educating their daughters as well as their three sons. Four of the Martin children helped to pioneer the Maranoa and Darling Downs districts of Queensland during the 1850s and 1860s. The bushranger ‘Thunderbolt’ and the Martin cousins ‘Black Bill’ and ‘Red Bill’ Forrester formed part of their world. 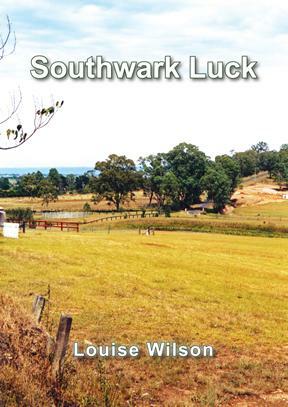 Like Robert Forrester, First Fleeter and Paul Bushell, Second Fleeter, Louise Wilson’s third book about significant early settlers of the Hawkesbury narrates a story which reflects the great diversity of experience among Australia’s convict pioneers. Thoroughly researched, it includes local and social history of interest to anyone fascinated by Australia’s colonial years. Review : This book, like Louise's other booms was wonderfully researched and written. To read this book is to move back in time and live the era. We need more books like this.